The Ins and Outs of High-Low Agreements | Golden Rothschild Spagnola Lundell Boylan Garubo & Bell P.C. By: Jeffrey S. Bell, Esq. Samantha Holzapfel. The New Jersey Supreme Court in the matter of Serico v. Rothberg, 218 N.J.LEXIS 928 (2018) recently decided whether a Plaintiff can collect attorney’s fees, pursuant to the Offer of Judgment Rule, despite entering into a “high-low” agreement that limited the amount Plaintiff can recover at the time of trial to $1,000,000.00. In finding that the Plaintiff failed to explicitly reserve her right to collect attorney’s fees pursuant to R. 4:58, the New Jersey Supreme Court held that the Plaintiff cannot recover. In this medical malpractice case, before trial, pursuant to R. 4:58, Plaintiff timely served an Offer of Judgment in the amount of $750,000.00 “inclusive of costs and prejudgment interest”. Plaintiff also warned that she would seek “all reasonable litigation expenses including costs, interest and attorney’s fees.” The central purpose of the Offer of Judgment Rule is to induce settlement. In essence, the rule imposes financial consequences, including the award of attorney’s fees, on a party who rejects a settlement offer that turns out to be more favorable than the ultimate judgment. In this case, Defendant rejected the Offer of Judgment. During the trial, both parties, entered into a high-low agreement with a high of $1,000,000.00 and a low of $300,000.00. When placing the high-low agreement on the record, neither party mentioned R.4:58 nor did they explicitly waive or preserve rights pursuant to the Rule. Ultimately, the jury awarded Serico $6,000,000. The court then entered judgment in the amount of $1,000,000.00 based upon the high-low agreement. After the judgment was entered, Plaintiff then moved for litigation expenses, including attorney fees, pursuant to R. 4:58. The Trial Court denied Plaintiff’s application applying a custom and usage analysis. The Trial Judge noted that he had never encountered a litigant who sought costs and fees pursuant to the Offer of Judgment Rule after entering into a high-low agreement. Plaintiff appealed. On appeal, the Appellate Division affirmed the Trial Court’s decision, but applied different reasoning. The panel determined that the Plaintiff cannot recover any amount beyond the “high” because the terms of a high-low agreement should be enforced as written, if clear. 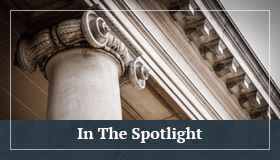 In the interest of encouraging settlement, the Appellate Division held that a Plaintiff cannot recover more that the “high” unless she explicitly reserves her right to seek more. Plaintiff appealed to the New Jersey Supreme Court. 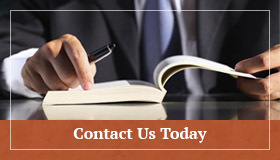 A reviewing court must consider contractual language in the context of the circumstances at the time of drafting and . . . apply a rational meaning in keeping with the expressed general purpose. If the contract into which the parties have entered is clear, then it must be enforced as written. Where an agreement is ambiguous, courts will consider the parties’ practical construction of the contract as evidence of their intention and as controlling weight in determining a contract’s intention. In this case, the Court found that the plain language of the agreement was silent on the issue of R.4:58 expenses. As a result, the Court had to look at the expressed intent of the parties and the context of the agreement. In analyzing the expressed intent of the parties, the Court found that when placing the parameters of the high-low agreement on the record, the parties expressly stated that no interest or medical expenses would be added to the “high” of $1,000,000.00. Further, the Court found that Plaintiff’s request of confirmation of primary policy limits of $1,000,000.00 from both defense counsel and the insurance company’s representative to be most persuasive because after the representation was made that there was no secondary policy, the Plaintiff agreed that “1,000,000.00 would be the ceiling.” As a result, the New Jersey Supreme Court found that the parties intended that $1,000,000.00 would be the maximum recovery, including all expenses and fees, and that they intended that the high-low agreement would replace any prior agreements. This decision further reinforces the simple concept that for any stipulation at Trial, including a high-low agreement, the parties must explicitly identify the terms of the agreement. Additionally, the parties must explicitly preserve the right to pursue any rights they may have in the event such rights are recoverable. Defense counsel and their insurance carriers should be proactive in identifying all important terms of an agreement and demanding that any potential rights of recovery are fully discussed with Plaintiff’s counsel and the Trial Judge. If issues remain silent, defense counsel and their insurance carriers run the risk of arguing these issues on appeal long after a final judgment has been entered. Samantha Holzapfel. is a Legal Intern for GRSLB&G.